Lemongrass oil is extracted from lemongrass by steam distillation. It is a grass that grows up to 3 feet tall and has long, thin leaves. It was originally found in India and belongs to the grass plant family, Poaceae. 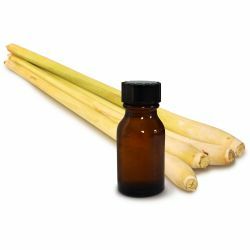 Lemongrass oil is dark yellow and has a sweet and creamy, lemon-like aroma. The main chemical constituents are myrcene and citronellol and it has been used as natural insect repellent. Lemongrass oil is antiseptic, deodorant, and toning. In aromatherapy, it is used as an antidepressant and mood lifting oil, as well as for problem skin. We use lemongrass oil in our You’ve Been Mangoed bath melt. Its fragrance combines with other citrus essential oils to create an uplifting bath-time treat. Our Karma range contains lemongrass as part of its fragrance. We have used lemongrass oil in our A Crash Course in Skincare for it fresh note and antiseptic property. Our T’eo solid deodorant contains lemongrass oil for its antiseptic, tonic and deodorising qualities.